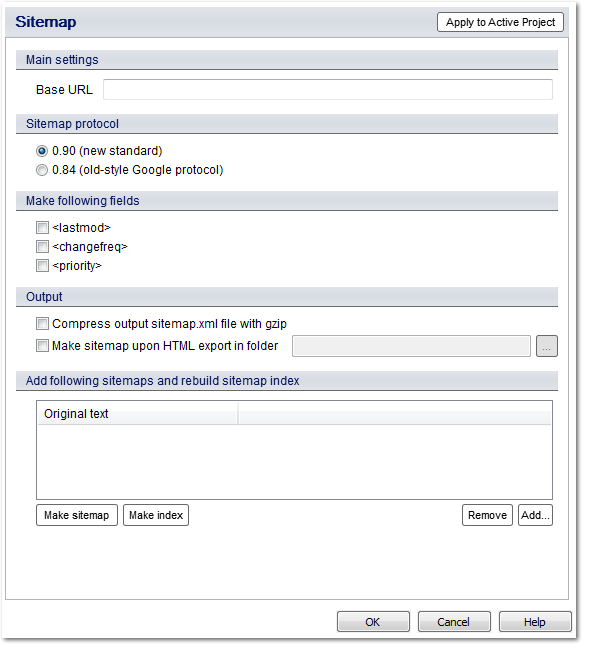 One of the unique features of Dr.Explain help authoring tool is the Google sitemap generator. Google sitemap is a special file that you should store on your website so the search engine crawlers like Googlebot could read it and index your on-line help pages properly. Dr.Explain can automatically produce Google sitemap file for your on-line manual and even merge it with existing sitemaps for other parts of your web site.